When pixels replace paper, ebook design needs to adapt. The secret to effective ebook graphic design is to create a great screen reading experience. Your readers need to easily navigate through your content and read the text comfortably. As with our offset and print-on-demand books, ebook cover design and ebook layout design are custom created for your project. We don’t work with premade or readymade templates. You don't have to fuss and fiddle with online tools. Your ebook design will be as original as your content. people do judge books by their cover–even e-books–so we design ebook covers for plenty of wow factor! Once your ebook is designed, it can be converted/formatted for specific reading devices. 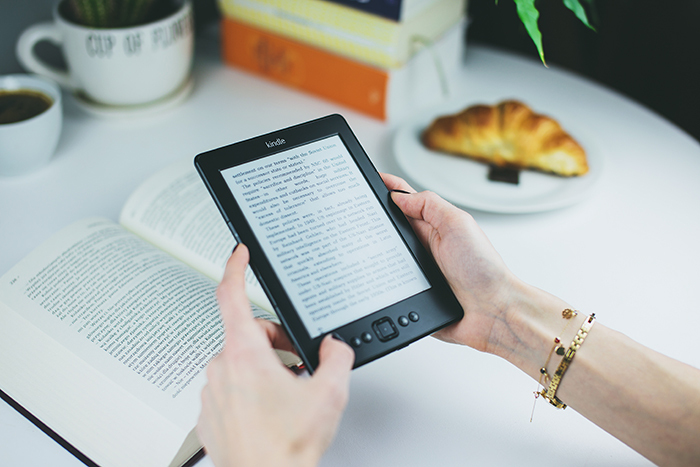 We recommend converting your files for the Amazon Kindle (for Amazon customers) and ePub or ePDF for non-Amazon customers. We look forward to discussing our professional ebook design services with you.